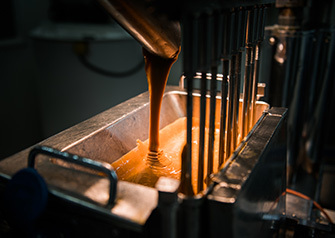 In the late 19th century my grandfather, Edward Joseph Walker began making toffee from a tiny sweet shop in Longton, Stoke-on-Trent. Local people used to come to buy his renowned slab toffee, broken with a special hammer and served by the quarter. 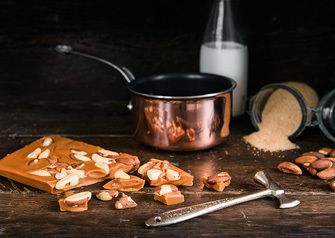 Using only the finest ingredients he created a unique toffee recipe that we continue to use today. His toffee and famous little hammers are still the hallmarks of our business. Why is Walker's Nonsuch so good?